Tucker loves babies and he is very gentle with children. yes we let our people dress us up....for cookies we will do anything ! 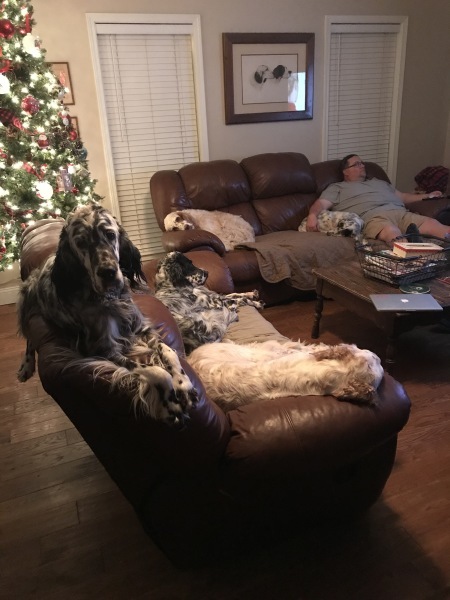 English Setters make great family dogs. They do not do well outside or in kennel type situations. 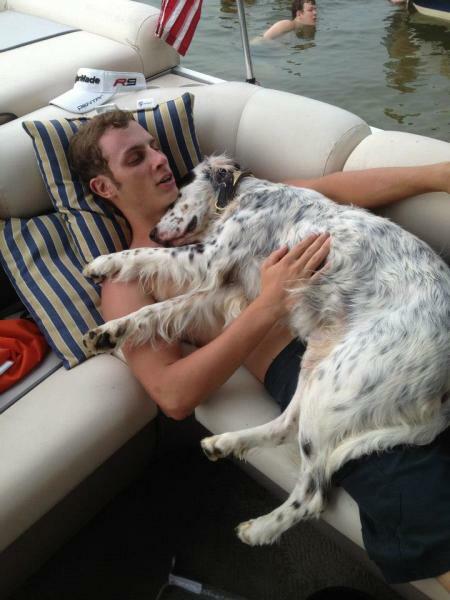 They need and desire to be a part of the family and they crave the approval and love of their owners. Yes they can be trouble causing puppies, but take heart, they will mellow out somewhere around 18 months old. Just like with most dogs, they thrive and appreciate structure and routine. 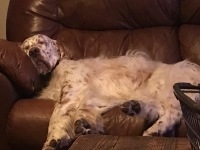 English Setters are intelligent and need daily stimulation. 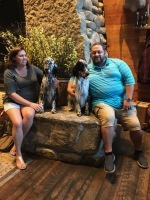 They make excellent therapy dogs, and do well in obedience and rally competitions. Our guys love to RUN and need a large yard or access to large spaces to stretch those beautiful legs. 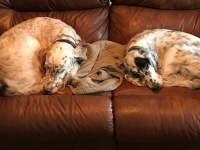 English Setters outside are poetry in motion, as they move effortlessly and seem to float along.